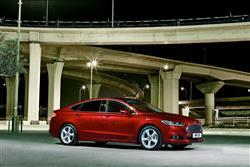 The improved Ford Mondeo is a good all-rounder in 2.0-litre TDCi 150PS guise. This one gets to 62mph in 9.3 seconds yet will return almost 60mpg on the combined cycle. Pricing has been kept reasonable and equipment levels are strong enough to give the premium marques something to seriously worry about. 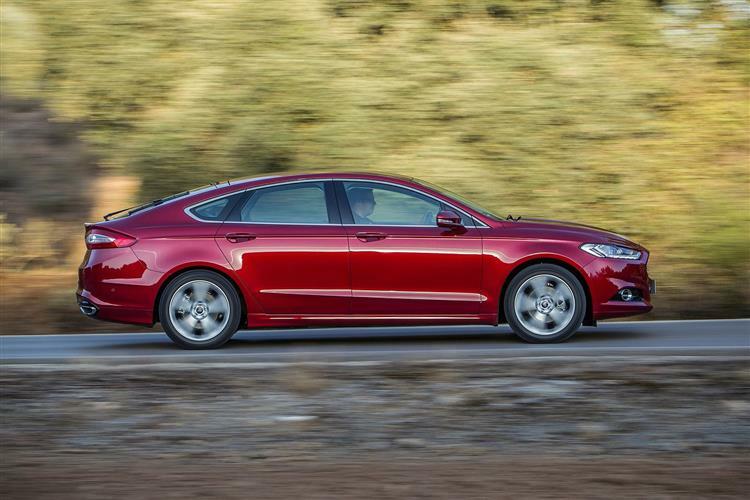 Here's a car that deserves better, Ford's Mondeo. In every generation we've seen, it's been markedly improved, yet its maker's efforts have been rewarded with sales that have progressively diminished over the decades as the traditional medium range family segment this car champions has been plundered by trendy small SUVs and plush German compact saloons. This is the fourth generation version and in many ways, it's been the best Mondeo yet. 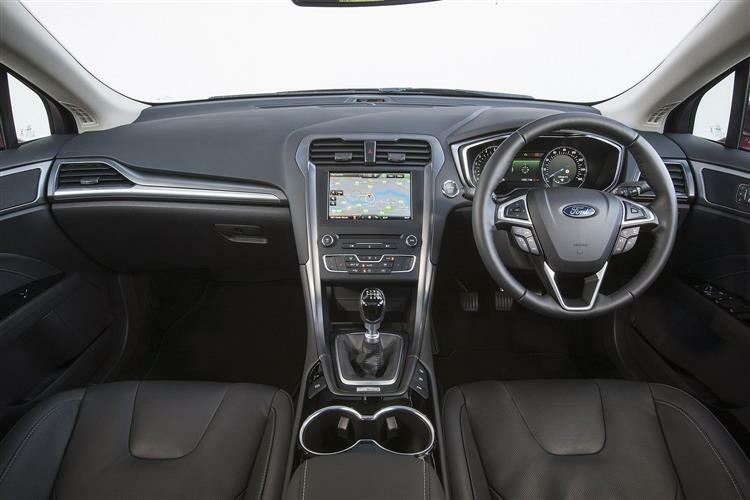 The 2.0 TDCi diesel 150PS variant we're looking at here is easily the best-selling derivative in the range and has recently been updated with some of Ford's latest diesel technology. And, in both hatch and estate guises, it comes fully-equipped to take on tough segment rivals like Volkswagen's Passat and Vauxhall's Insignia. Sounds promising. Let's put this Ford to the test. The sum total of 150PS might not sound very much when you're looking at a vehicle as big as the latest Mondeo, but cool your jets a minute. This is a diesel engine we're talking about, so the peak power output is actually not really as relevant as the torque it makes. Developing a rippling 370Nm of torque at just 2,000rpm, this engine has more than enough to give the Mondeo a respectable turn of pace. It'll get to 62mph in 9.3 seconds and run onto a top speed of 134mph but even those numbers give little clue as to its midrange strength and flexibility. 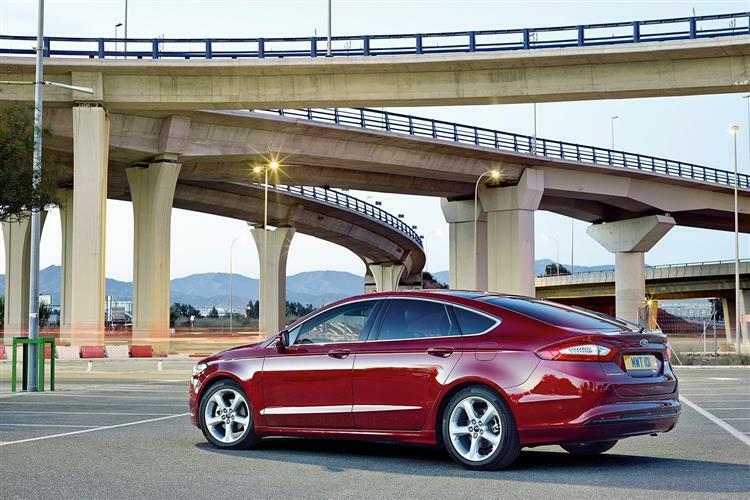 The engine features Ford's lean NOX trap exhaust after-treatment system for even cleaner emissions. Want more? Ford's delivering. This 150PS unit can also be had with Intelligent All-Wheel Drive, which offers a seamless transition between front-wheel drive and all-wheel-drive performance to automatically enhance traction and road-holding when needed. The Mondeo was the first model for Europe to be built on Ford's global CD-segment platform, which debuted the company's integral link rear suspension. This stiff platform and body structure combination helpds the car deliver handling that's difficult to better in this class. Driver's also get steering with variable weighting to match the "comfort," "normal" and "sport" chassis settings of Ford's Continuous Control Damping. If there's one thing that's defined the Mondeo's design is that it's become bigger and more expensive-looking with each passing generation. This one doesn't divert from that precedent. The front gets Ford's Aston Martin lookalike grille with laser-cut headlamps and a power dome bonnet while the fuselage is far more sculptured and sophisticated in its design than its immediate predecessor. 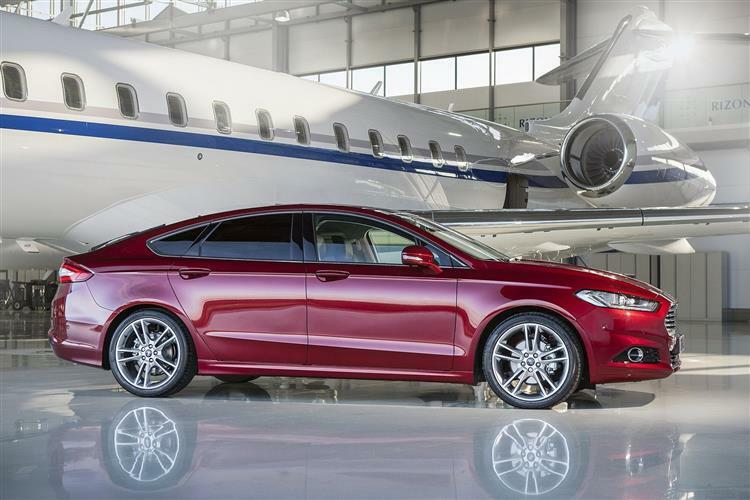 Ford calls the roofline 'a sports coupe profile' which might be pushing it a bit, but it's quite a handsome thing. The estate version incorporates an optional retractable panoramic glass roof on request. Inside, Mondeo drivers are met with a digital analogue instrument cluster, while a wrap-around centre console design delivers a cockpit-like feel. 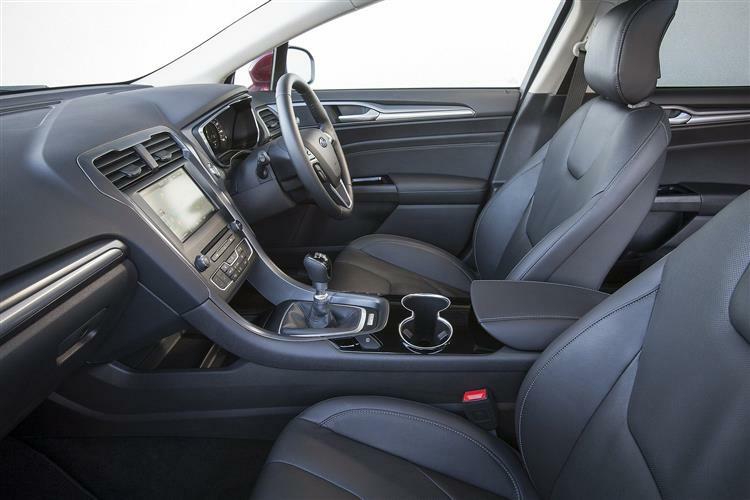 Materials quality is better than you might expect, with a soft-touch instrument panel and flock-lined central front storage area and glovebox. 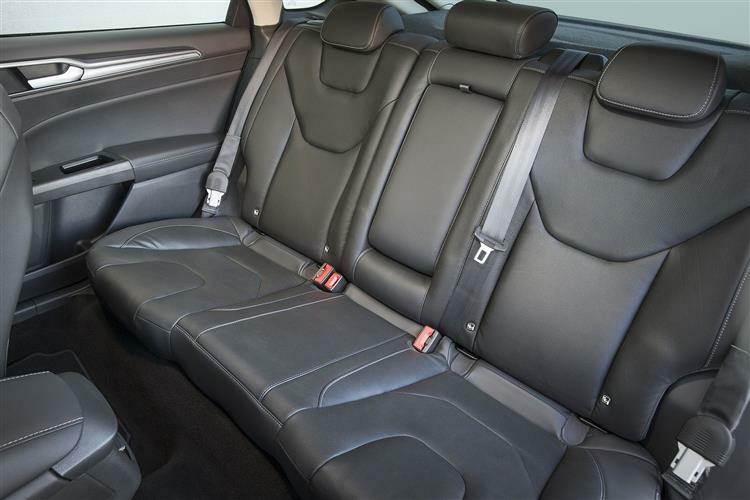 Smart-design front seats feature a thin backs - enabling rear seat passengers to enjoy additional legroom without sacrificing space for driver and front passenger. 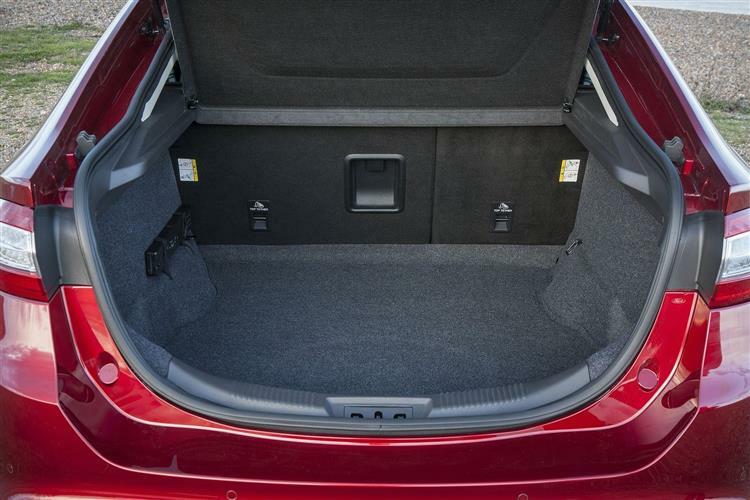 There's ample space for five, and the hatchback boasts a 550-litre boot, which expands to 1,446-litres with the seats folded down. The estate's numbers are 525 and 1,630-litres respectively. The range runs through Zetec Edition, ST-Line, Titanium and Vignale levels and you can have this 2.0 TDCi 150 diesel engine with any one of them. Prices start at around £23,000 for a 'Zetec Edition' hatch - with just a fraction more to pay if you want the slightly more frugal 'ECOnetic' version. There's also the option of a 6-speed auto gearbox. And if you want the estate body style rather than the standard Hatch, it's £1,800 more. Standard kit across the range includes technology features like Hill Start Assist to stop you drifting backwards on uphill junctions, Tyre Pressure Monitoring and the Torque Vectoring Control system that gives you sharper corner turn-in. And there are the usual neat Ford-specific touches - things like the Easy-Fuel system that stops you pumping in the wrong kind of fuel. And the 'Ford MyKey' system that enables you to programme various parameters into a spare ignition key so that if you loan your car out - say to your son or daughter - you can restrict the speed at which they drive and even the stereo volume they choose. 'MyKey' can even disable the car altogether if driver and passengers are not using safety belts. It can also prevent the driver from deactivating safety technologies like stability control. The standard 2.0 TDCi 150PS manual hatch model manages 56.5mpg and 130g/km of CO2 - or 52.3mpg and 142g/km with auto transmission. If you're happy with a manual, you can improve the quoted stats to 58.9mpg and 124g/km by opting for a more frugally-focused 'ECOnetic' version. The ECOnetic powertrain includes 16-inch alloys and the sports suspension, which seems a bit of a strange combination but it clearly works. All Mondeo models come with an unremarkable 3 year/ 60,000 mile Ford warranty, with Ford Assistance at the roadside for the first year. If you plan on keeping your car for longer or are a high mileage driver, you can pay a small extra cost to extend that warranty to either 4 years and 80,000 miles or 5 years and 100,000 miles. There's also the option of a 'Ford Protect Premium Plan' that over two or three years, can cut the cost of scheduled servicing. 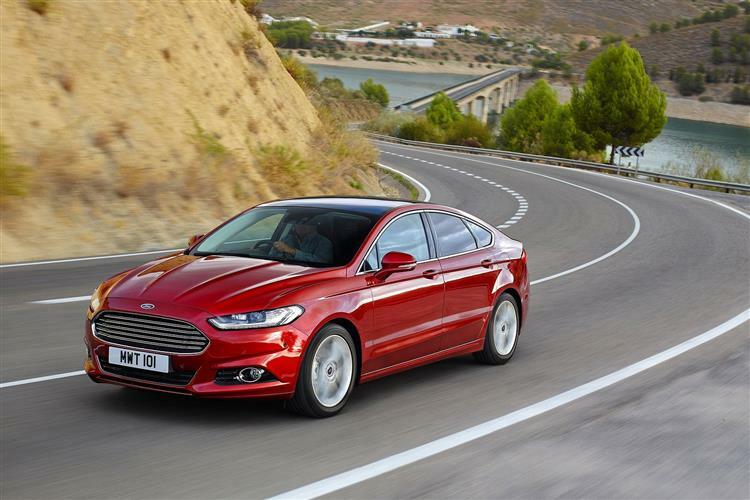 The Ford Mondeo is no longer that scalpel-sharp thing you'd be able to blast down a B-road in, sticking to the tail of a Boxster. It's grown huge and a bit softer, but don't for one minute think that means it's got old and fat. Far from it. 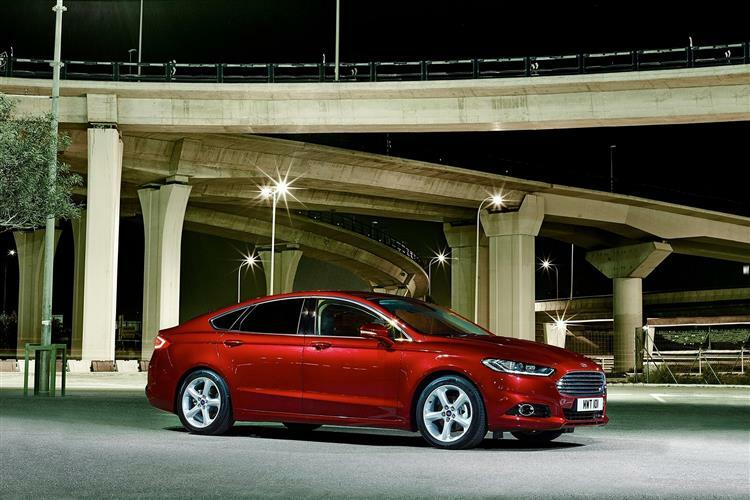 The Mondeo is a very cleverly executed thing. Of course, the 150PS diesel engine makes all the right numbers on economy too. It's hard to believe you can get 60mpg on a run in a car that's as big as this. The Mondeo has a lot of work to do to resurrect sales to their former grandeur. But it's still a likeable thing in this volume guise.